OVERLAND PARK, Kansas – (HolsterVault.com) – BLACKHAWK!, an industry leader in tactical products, will launch several new products to dealers at booth 14551 at the 2018 Shooting Hunting and Outdoor Trade (SHOT) Show in Las Vegas, January 23 to 26. 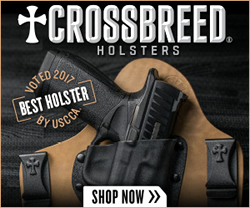 For holsters, leather is no longer an unaffordable luxury; BLACKHAWK! 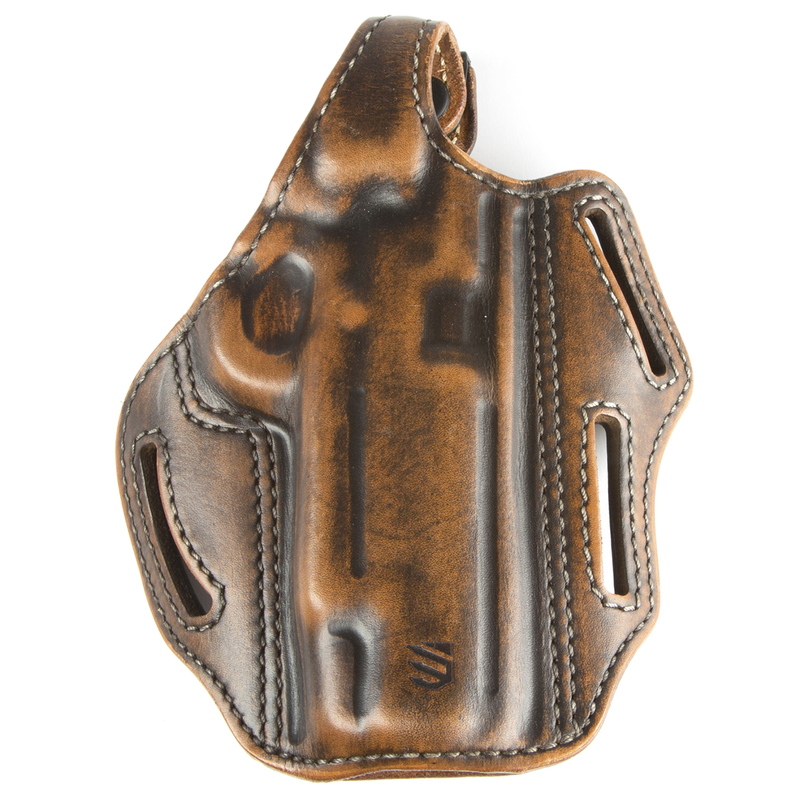 Premium Leather Holsters bring a classic look and custom feel at an exceptional value. Made from world-renowned Italian leather, these holsters are hand-formed and finished. Available in antiqued or burnished brown, long-lasting Premium Leather Holsters complement a wide array of handgun finishes at an MSRP of $99.95. BLACKHAWK! 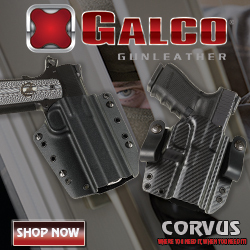 Kydex Holsters take comfort and concealment to the next level. Kydex, an injected, pliable rubber, resists moisture and easily conforms to the body, making it ideal for all-day, everyday carry. BLACKHAWK! 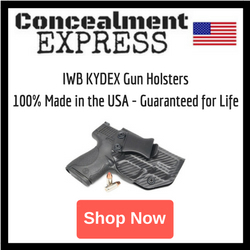 Kydex Holsters are available in inside-the-waistband, outside-the-waistband and inside/outside-the-waistband configurations, giving them the versatility to meet the demands of every concealed carry wearer at an MSRP of $59.95. Delivering superior barrel control and heat protection in a slim, ergonomic profile, the new BLACKHAWK! Knoxx AR Handguards are an upgrade to any AR. Available in both carbine and mid-length models, Knoxx AR Handguards feature integrated front hand stops with light texturing, and an aluminum heat shield ensures a solid, comfortable grip that promotes precise round placement. A quick detach sling mount with ambidextrous mounting maintains versatility. The polymer construction offers further heat resistance and lightweight durability at an MSRP of $34.95-$39.95. The BLACKHAWK! Multipoint Sling is both exceptionally comfortable and easy to use. Superior comfort comes via the nylon construction that features a slick-edge, wide webbing that disperses the weight of the firearm – ideal for hours of continuous wear. A patented rapid adjust slider quickly changes sling length, even on the move. Designed to operate in the most demanding environments, the rugged, lightweight, MultiPoint Sling is the perfect blend of comfort, adaptability and speed at an MSRP of $39.95-$79.95. The BLACKHAWK! TecGrip Magazine Pouch keeps firearm magazines concealed and secure. 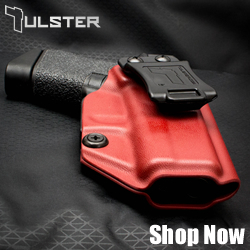 Designed for civilian and law enforcement carriers, the TecGrip outer layer holds firmly against most any material, keeping mags safely holstered and secure in a pocket or inside-the-waistband. With high-density, closed-cell foam that protects the magazine and conforms easily to the body, this magazine pouch is the best of both comfortable concealment and affordability at an MSRP of $14.95. BLACKHAWK! will also be displaying three new nylon products at SHOT. The Foundation Rifle Case features a utilitarian design that is made for customization. The exterior features a laser-cut grid and loop panel for attaching myriad accessories. More accessories can be attached to the padded interior, thanks to several rows of loop-lined MOLLE webbing. Available in three sizes at an MSRP of $99.95-$119.95. The BLACKHAWK! Stax Pack is the ultimate in modular design and easy access. Featuring a deployable shelf that divides the main compartment when needed and a port door built in for easy access to gear stored below the shelf. If organization is paramount, the Stax pack is the answer. Available in two sizes at an MSRP of $139.95-$159.95. The BLACKHAWK! Stingray Pack’s unique design offers quick, complete access to contents. Open the Stingray Pack at the top, left or right side of the main compartment. The zipper extends to the bottom of the pack, allowing the user to lay it flat, if needed. Available in three sizes and colors, the Stingray pack’s 500D nylon construction is built to withstand anything at an MSRP of $134.95-$169.95. The new BLACKHAWK! Extreme Pursuit Pant offers flexible, durable comfort in the next evolution of tactical gear. Made of 4-way mechanical stretch ripstop fabric, this construction delivers superior fit and movement. With seven exterior pockets and added action waistband, the Extreme Pursuit Pant is ideal for all-day comfort and optimal gear storage at an MSRP of $82.99. For gloves that are as prepared as you are, look no further than the new glove line from BLACKHAWK! With gloves built for professionals and enthusiasts alike, they are designed to handle an array of activities. Constructed of lightweight, durable synthetic and natural materials, they fit like a second skin and work as hard as you do. BLACKHAWK! offers 12 different styles, ready for action and any situation at an MSRP of $29.95-$94.95. Vista Outdoor is a leading global designer, manufacturer and marketer of consumer products in the growing outdoor sports and recreation markets. The company operates in two segments, Shooting Sports and Outdoor Products, and has a portfolio of well-recognized brands that provides consumers with a wide range of performance-driven, high-quality and innovative products for individual outdoor recreational pursuits. Vista Outdoor products are sold at leading retailers and distributors across North America and worldwide. Vista Outdoor is headquartered in Utah and has manufacturing operations and facilities in 13 U.S. States, Canada, and Mexico along with international customer service, sales and sourcing operations in Asia, Australia, Canada, and Europe. For news and information, visit www.vistaoutdoor.com or follow us on Twitter @VistaOutdoorInc and Facebook at www.facebook.com/vistaoutdoor.